Blue de Gênes is a denim label taking its inspiration from the origin of jeans: the history of jeans started in Genoa, Italy, more than 400 years ago. At that time, the harbour workers in Genoa used a robust fabric called “Geanes fustian”, made of Arab cotton, for working clothes and sailcloth. The material was dyed blue with indigo, very strong and thus well suited for work pants for these hardworking dockers and sailors. This fabric was exported to other countries, and eventually known as the Blue from Genoa, or in French "Bleu de Gênes" since Genoa at that time belonged to France. The English adaptation of the expression then became “Blue Jeans”. The story behind the blue jeans and Blue de Gênes is the starting point of this collection, a clothing line with an authentic look and high quality materials, featuring hand knitted sweaters, and Japanese selvage fabrics. 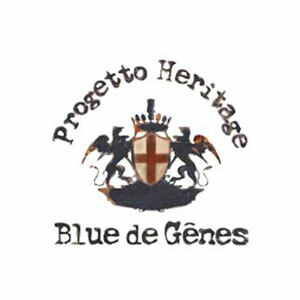 Blue de Gênes jeans are produced in Italy, and just as Blue de Gênes is a family run business, the suppliers are small family run factories. The quality of these rough jeans is never being compromised. All styles have a strong and unique identity and a design that will last for several years. Claiming that it is indigo that is “flowing in our veins”, we promise to continue the legacy of Genoa. We do so by always seeking inspiration in the history of Genoa and the people who lived there. Many of our models are named after famous persons of the history of Genoa.